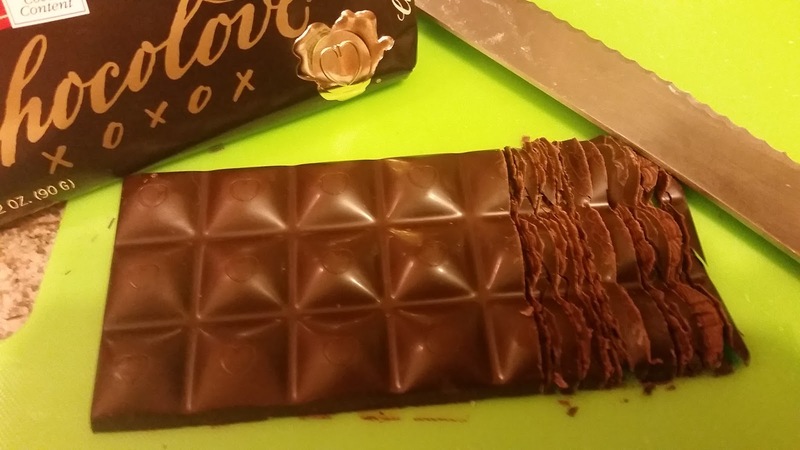 For me, 70% cocoa content chocolate has long been a special treat that doesn't trigger crazy sugar binges. Now, I've adapted a recipe from Always Hungry by Dr. David Ludwig and Chef Dawn Ludwig that has their official stamp of approval. 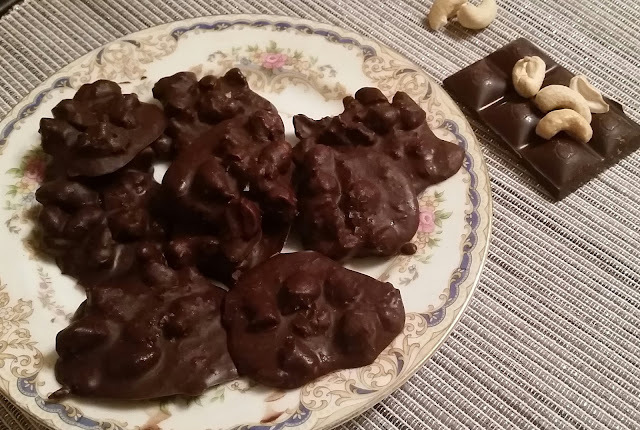 The recipe makes 4-6 servings, but you can easily double or triple it if you plan to share. Let's get to it! 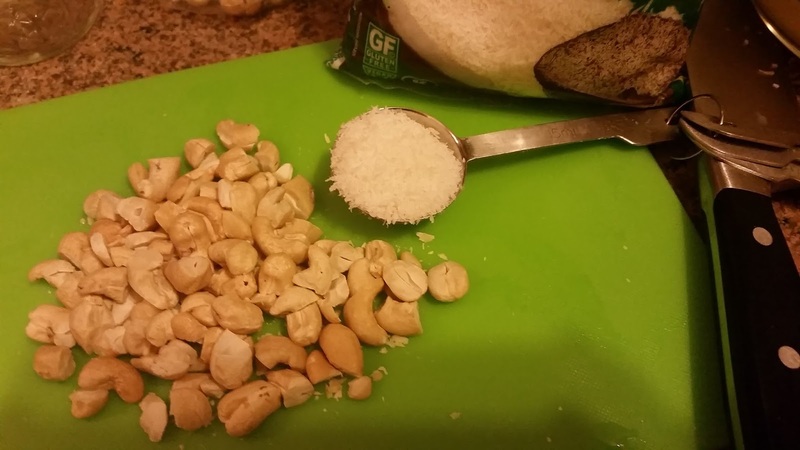 If your cashews are whole, cut them in smaller pieces (halves or quarters). Measure out the coconut and put the two ingredients in a dry pan over medium low heat. 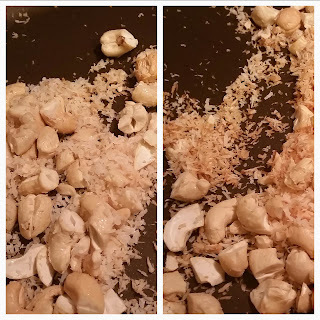 Toast the coconut and cashews just until the coconut starts to take on a golden color (left). Turn off the heat and let the pan sit on the stove while you chop and melt the chocolate...it will continue to darken (right) thanks to the residual heat in the pan, but you won't risk overdoing it this way. I've tried making these without toasting, and they were good, but definitely missing a little something. All hail the Chocolove! Thanks to their dark chocolate with sea salt and almonds and this 70% bar, it has become my favorite brand. 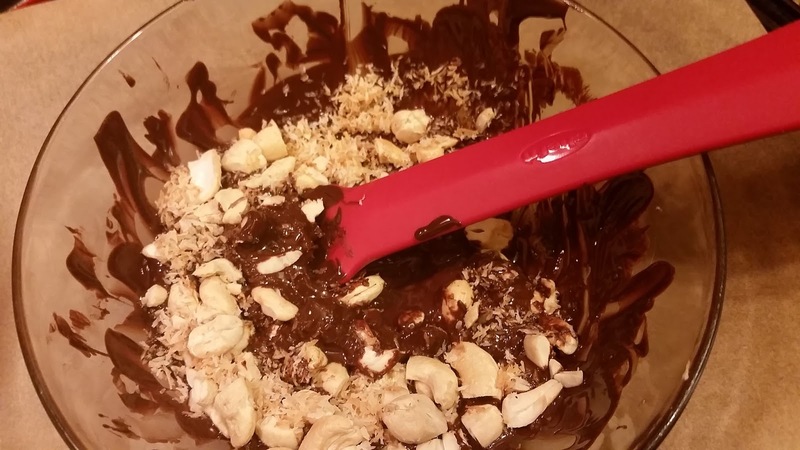 Chop up the bar using a serrated knife and place it in a microwave-safe bowl, preferably glass. 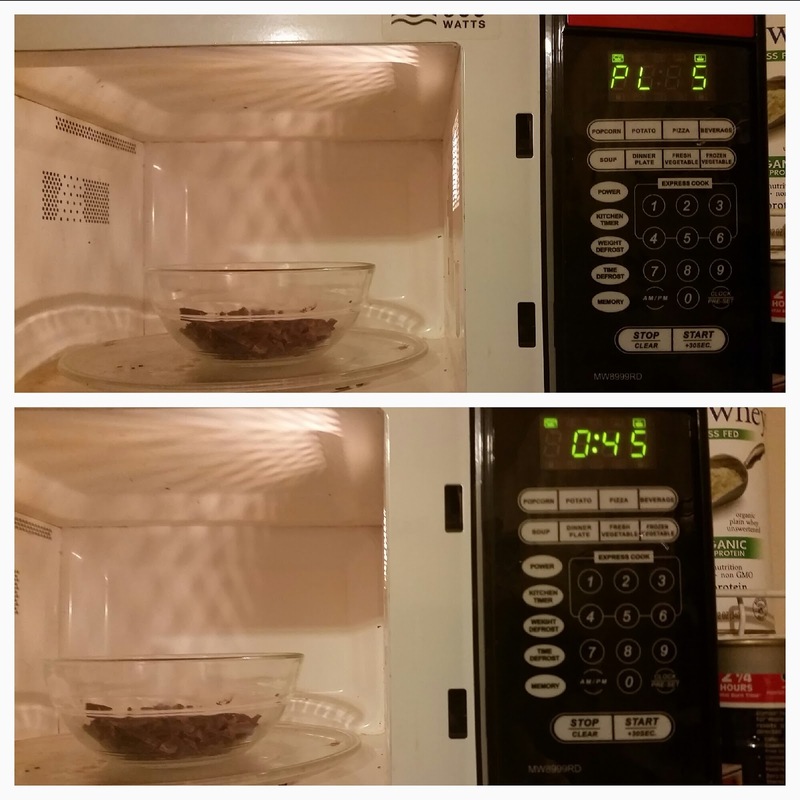 Place the bowl in the microwave and put it on 50 percent power for 45 seconds. Take it out and stir, then repeat this step until the chocolate is fully melted. As you get closer to being finished, reduce the time to 30 seconds. 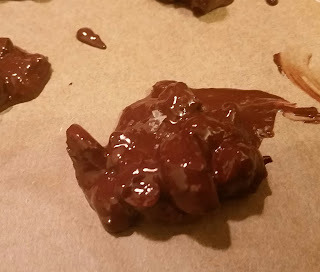 ...and then drop spoonfuls onto a cookie sheet lined with a silicone mat or a piece of parchment paper. I like to do more small clusters rather than fewer small ones. Let them cool for a few minutes, then sprinkle a few flakes of the salt on each one. Set the sheet in a cool area for a few hours to set up, or in the fridge to speed up the process. Enjoy one or two after dinner!